Solr index configuration is done through 2 files: schema.xml and solrconfig.xml. schema.xml— it defines the schema of the documents that are indexed/ingested into Solr (i.e. the set of fields that they contain). A news article may contain title, body, tags, article date etc. It also defines the datatype of those fields. 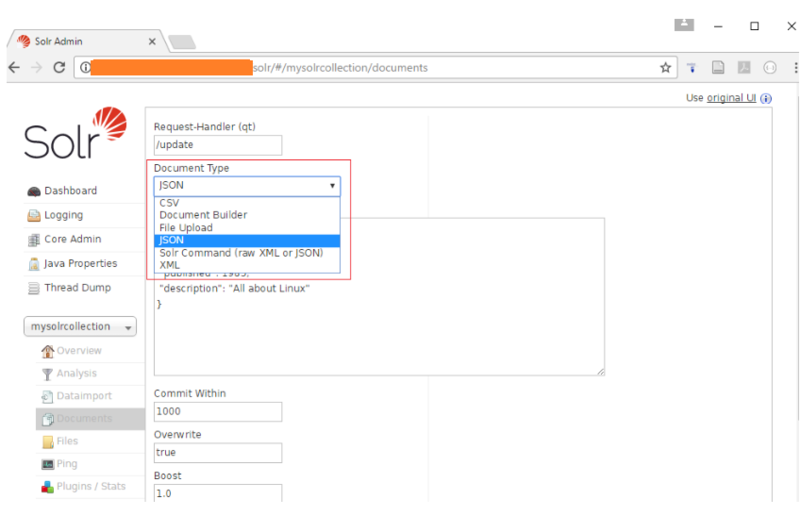 It configures the document structure (a document is made of fields with field types), and how field types are processed during indexing and querying. solrconfig.xml — it contains the request handlers and other config options. It configures the “handlers”. Handlers are urls , executing plugins (java code) with their default configuration. See below for some good explanations about Solr basic concepts, including Solr schema. schema.xml (pdf)– this is a very good and concise explanation about schema.xml in Solr configuration. Basic Solr Concepts (pdf) – this concise introduction mentioned indexing and schema. Solr Concept and Architecture (pdf) — it talked about Solr schema and configuration. This section discusses how Solr organizes its data into documents and fields, as well as how to work with a schema in Solr. Overview of Documents, Fields, and Schema Design: An introduction to the concepts covered in this section. Solr Field Types: Detailed information about field types in Solr, including the field types in the default Solr schema. Defining Fields: Describes how to define fields in Solr. Copying Fields: Describes how to populate fields with data copied from another field. Dynamic Fields: Information about using dynamic fields in order to catch and index fields that do not exactly conform to other field definitions in your schema. Schema API: Use curl commands to read various parts of a schema or create new fields and copyField rules. 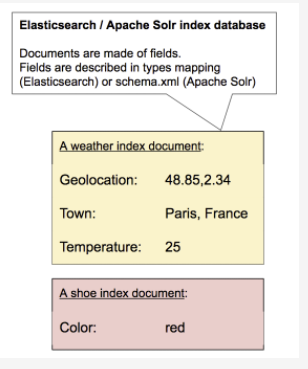 Other Schema Elements: Describes other important elements in the Solr schema. Putting the Pieces Together: A higher-level view of the Solr schema and how its elements work together. DocValues: Describes how to create a docValues index for faster lookups. Schemaless Mode: Automatically add previously unknown schema fields using value-based field type guessing. How does SOLR work? What is an explanation for the principle in layman’s terms? (pdf) — It gave pretty good explanation how Solr works, including schema explanation. Elasticsearch and Apache Solr are open source search engines, and they are the most widely used search servers. This post provides resources about Apache Solr. 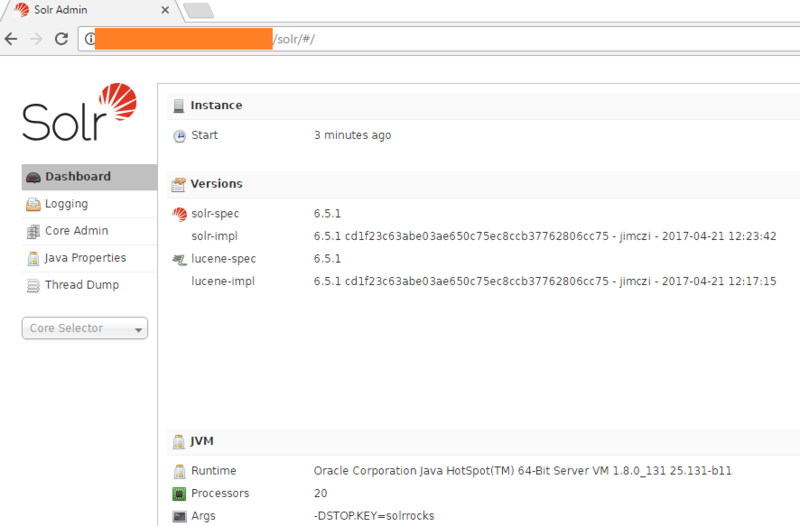 Solr (pronounced “solar”) is an open source enterprise search platform, written in Java, from the Apache Lucene project. 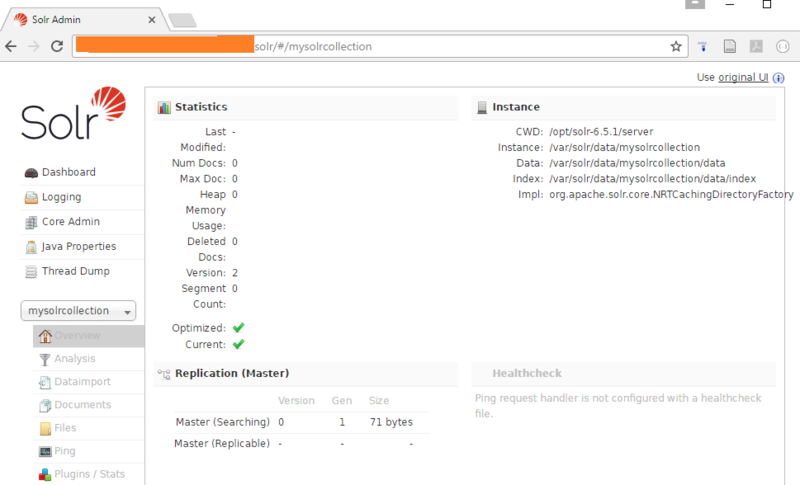 Its major features include full-text search, hit highlighting, faceted search, real-time indexing, dynamic clustering, database integration, NoSQL features and rich document (e.g., Word, PDF) handling. Providing distributed search and index replication, Solr is designed for scalability and fault tolerance. Solr is the second-most popular enterprise search engine after Elasticsearch. 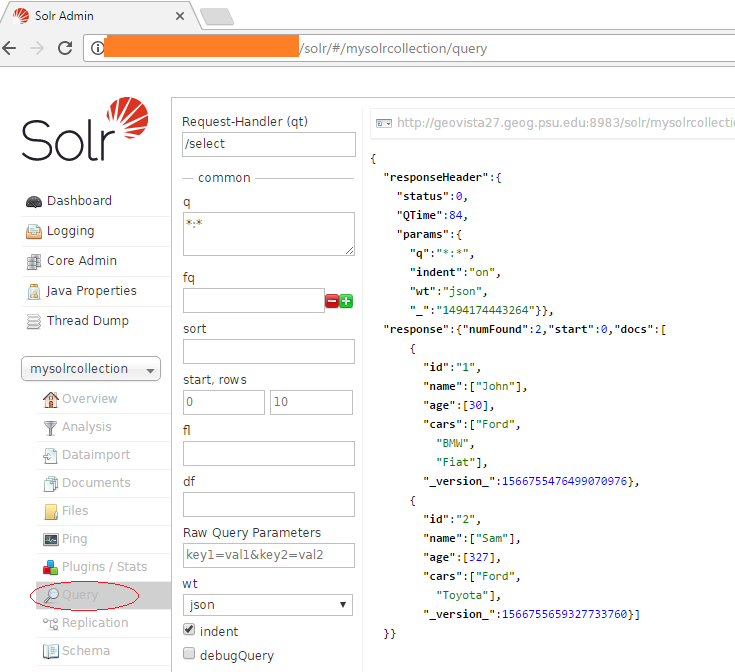 Solr runs as a standalone full-text search server. It uses the Lucene Java search library at its core for full-text indexing and search, and has REST-like HTTP/XML and JSON APIs that make it usable from most popular programming languages. 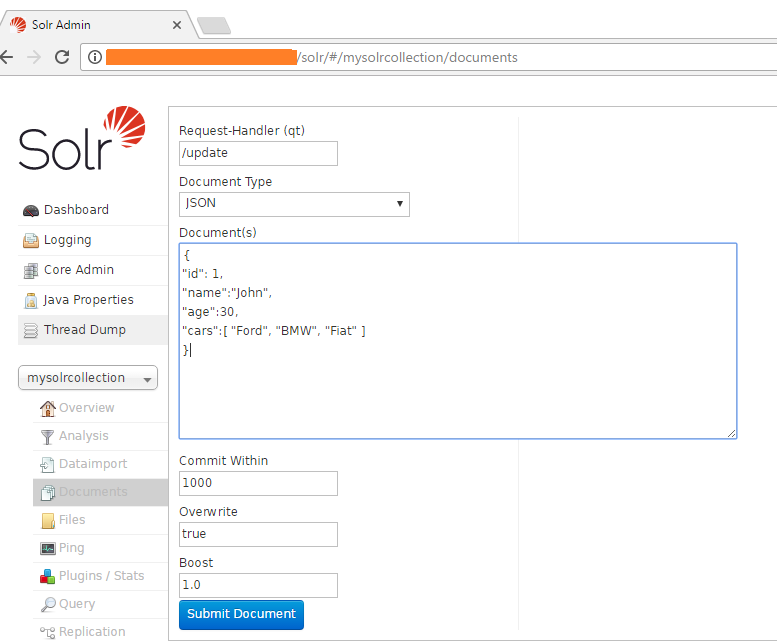 Solr’s external configuration allows it to be tailored to many types of application without Java coding, and it has a plugin architecture to support more advanced customization. An Elasticsearch / Apache Solr index is the equivalent of a SQL table. An Elasticsearch or Solr server (aka Solr instance, aka Solr engine) can maintain several indexes. An index contains several documents, equivalent to SQL table rows. Each document contains fields, equivalent to SQL table columns. When an index document is inserted/updated/deleted, we say it is “indexed”. 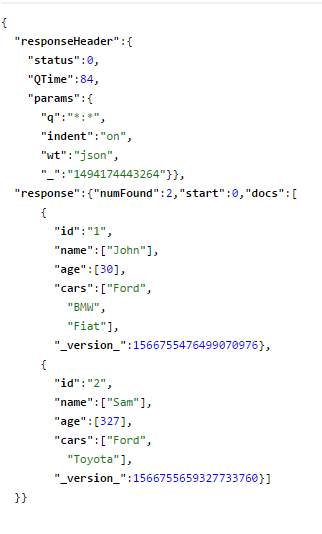 To retrieve documents from an index, Elasticsearch (json) / Apache Solr (xml, json) provide an http API, with a proprietary syntax. Elasticsearch and Apache Solr are web applications. A client will use their http API to query or store data. 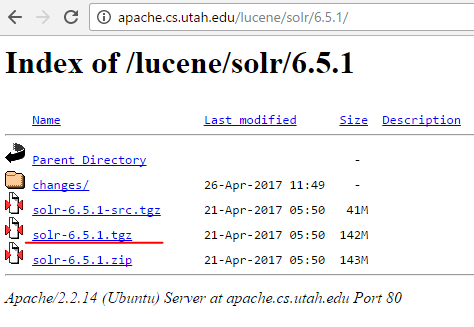 The core search engine of Elasticsearch and Apache Solr is Apache Lucene. The relationship between Elasticsearch / Apache Solr and Lucene, is like that of the relationship between a car and its engine. use the port number used in installation. Apache Solr resources on Khai’s personal knowledge vault (pdf) — It contains many pretty good resources and concise explanations of some Solr usages such as fuzzy search and facet.